Marcelo Carbone: "Topolini da Favola (Fairy Mice)" - Gigetto, the artist! "Topolini da Favola (Fairy Mice)" - Gigetto, the artist! 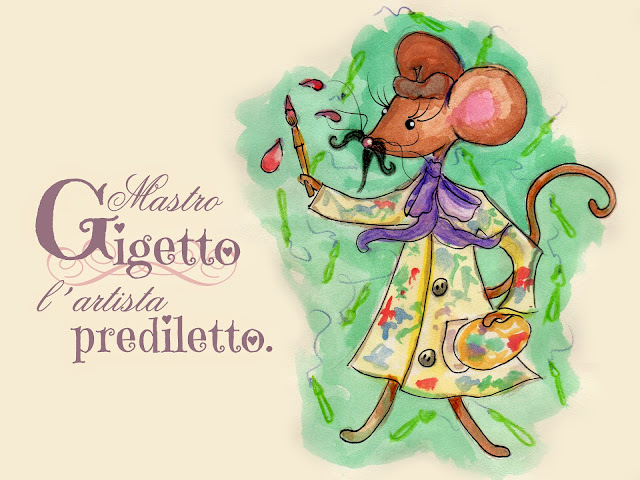 In my fairy mice world, there is an amazing artist - a painter called Gigetto! He doesn´t have an special style to paint - he loves to observe what happens around him and trasnlate this to his art... coincidence or not, the same thing happens to me!